Suzaku goes down off Yusuke's sneak attack, but remains unharmed. Again Yusuke charges, this time with more intensity, but Suzaku still blocks all of his attacks, however Yusuke manages to sneak in and nails a punch, and Suzaku loses possession of the flute. Yusuke rushes to the flute but Suzaku uses his teleportation and gets the flute back. Now he is definitely furious. Yusuke sees this and thinks that Botan and Keiko are finally caught... He loses courage.. and Suzaku beats him up more with his electrifying attacks. 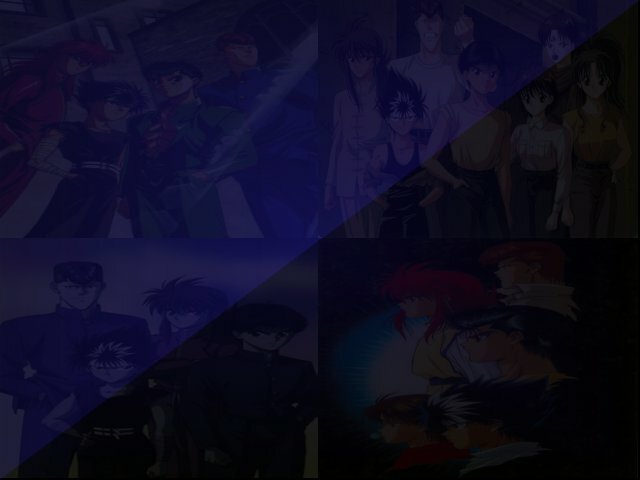 Yusuke was about to give up when suddenly Genkai's voice kicks in Yusuke's mind.. telling him Keiko and Botan are not done yet.. and we see that the two girls are still alive and they practically deceived the possessed people from believing that they were hiding inside the locker.. they deliberately placed the handkerchief inside.. now they escape once more..